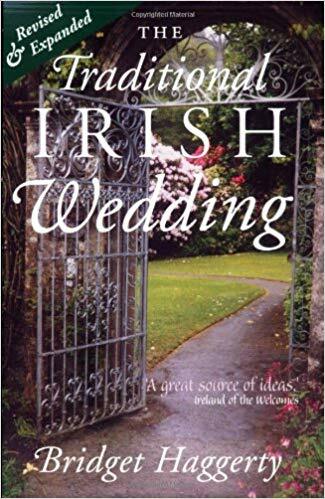 If you would like to incorporate a couple of Irish wedding traditions into your wedding theme and you are looking for ideas, “The Traditional Irish Wedding” book, written by Bridget Haggerty, may be of help. Bridget Haggerty emigrated to the United States from Ireland in 1963 to marry the man she had met on a blind date. When her daughter was getting married, Bridget Haggerty wanted to treat her American daughter to a traditional Irish wedding. She researched the rich Irish history and folklore surrounding the exchange of vows beginning with the practices of ancient Gaelic tribes, to traditional dress, Claddagh rings, gifts, food, music, prayers, toasts, readings and the traditional vows and documented it in the book. The book The Traditional Irish Wedding, which can be purchased on Amazon, is an incredible resource andwill help you find everything from Irish wedding gowns and tiaras to sheet music for a Celtic Mass. Bunratty Meade is a honey wine that’s served at the Bunratty Castle medieval banquet. It’s from a recipe based on the oldest drink in Ireland and if you’ve never tasted it, it’s well worth trying. Couples also drank it from special goblets for a full month following the wedding, which is supposedly where we get the word honeymoon. This was to protect the couple from the fairies coming to spirit the bride away. Irish brides used to carry a real horseshoe for good luck. This charming custom involves having the bride carry a special hanky that with a few stitches can be turned into a christening bonnet for the first baby. With a couple of snips it can be turned back into a hanky that your child can carry on his/her wedding day. The chime of bells is thought to keep evil spirits away, restore harmony if a couple is fighting, and also remind a couple of their wedding vows. Giving a bell as a gift has become an Irish tradition. You could also have your greeters hand out tiny bells to your guests to ring as you process. (You might want to let them know when they’re supposed to be rung – perhaps mention it in your program along with an explanation of the custom). Guests could also ring their little bells at the reception in lieu of clinking glasses. Here is an example of an Irish wedding vow that can be put on the front of the program:. By the power that Christ brought from heaven, mayst thou love me. As the sun follows its course, mayst thou follow me. As light to the eye, as bread to the hungry, as joy to the heart, may thy presence be with me, oh one that I love, ’til death comes to part us asunder. This old Irish proverb can be placed on the back of the program: Don’t walk in front of me, I may not follow. Don’t walk behind me, I may not lead. Walk beside me and just be my friend. In the old days, many Irish brides wore a wreath of wildflowers in their hair; they also carried them in bouquets. For my daughter’s wedding, our florist designed gorgeous bouquets that included a flower called Bells of Ireland. In the old days, couples ate salt and oatmeal at the beginning of their reception: Each of them took three mouthfuls as a protection against the power of the evil eye. I’ve also heard that it’s bad luck for anyone to wear green at an Irish wedding – but I think it really only applies to the bride. It’s also bad luck for a bride or the groom to sing at their own wedding. A man should always be the first to wish joy to the bride, never a woman. It was lucky to hear a cuckoo on the wedding morning, or to see three magpies. To meet a funeral on the road meant bad luck and if there was a funeral procession planned for that day, the wedding party always took a different road. The wedding party should always take the longest road home from the church. It was bad luck if a glass or cup were broken on the wedding day. A bride and groom should never wash their hands in the same sink at the same time– it’s courting disaster if they do. It was said to be lucky if you married during a ‘growing moon and a flowing tide’. When leaving the church, someone must throw an old shoe over the bride’s head so she will have good luck.